I'm tired so I won't write very much about Terceira, sorry! 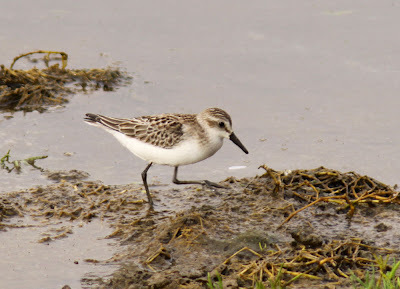 To sum things up I've seen WILLET, Western Sandpiper, American Black Tern, Semipalmated Plovers (4), Semipalmated Sandpipers (2), Spotted Sandpiper, White-rumped Sandpipers (2), Pectoral Sandpipers (3), Great Shearwater, Roseate Tern and some other more common stuff. Here are som pics! 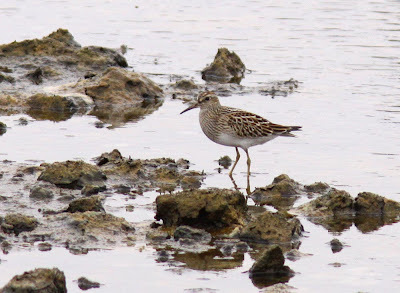 Western Sand and Semi P - quite different! 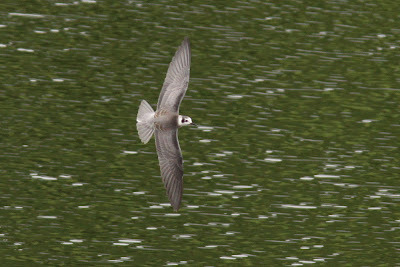 Juvenile American Black Tern (ssp surinamensis). 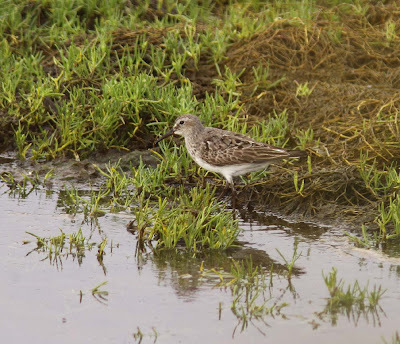 Note more greyish than white underwings and grey-smudged flanks. Same fellow as above. Note grey crown, not black. The tail should be darker and contrasting to the rump in a typical surinamensis, but I guess this is OK? 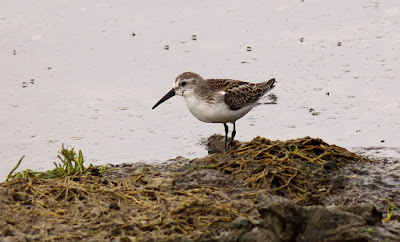 Comments on this bird are more than welcome! 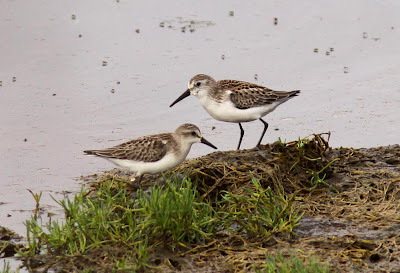 Common (top) and Spotted (bottom) Sandpipers in flight. Note the very different wingbars! 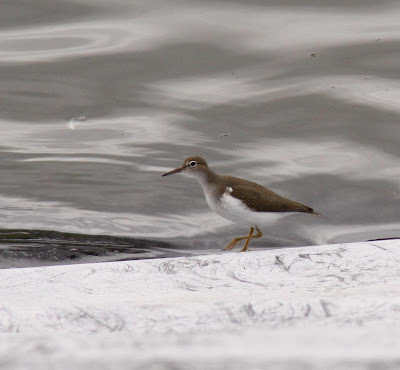 Juvenile Spotted Sandpiper. 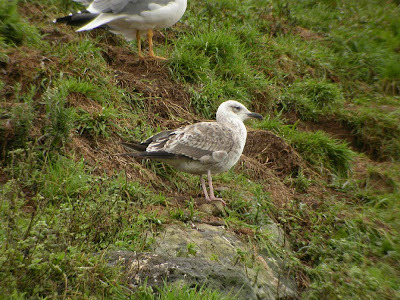 Note short tail-projection, yellowish legs and barred lesser and median coverts (but not greater). 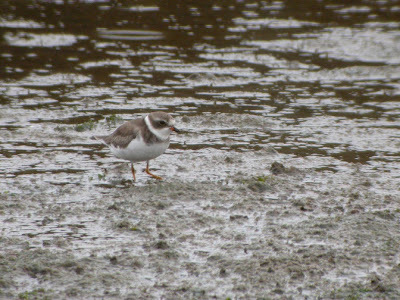 Adult Semipalmated Plover. Note for example yellow eye-ring, thin yellow diffuse eyebrow and white extending above gape. 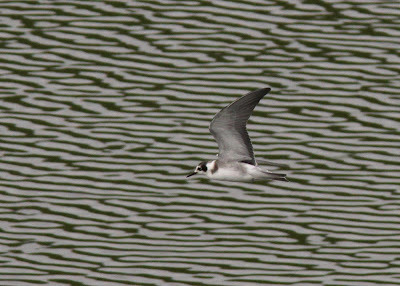 A somewhat strange gull, really pale among all the dark atlantis (and a few graellsii). 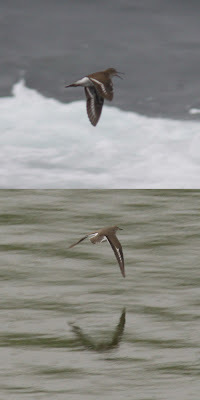 Not very wide tail-bar in flight, but the tail didn't feel fully complete - moult? Suggestions please Dr Gullhead! Thanks Pierre! That would explain the neat bill as well. Regarding the tern the tail looks contrasting to the rump in most of my other pictures, so the plain appearance in the one above is probably explained by the light and angle of the tail. Hard days work in rain! New species for Corvo again!